When my therapist asks me what haunts me the most I tell her it is the choices I made as a kid that I wish I could take back. There is an unpleasant truth in that as kids we are, naïve, brave, and optimistic. We are learning life as we go along but we feel we are invincible. We all have that day where we truly realize we have done something wrong. We have that moment where we understand just how cruel we can truly be. That day of our lives and that moment in time sinks into us and never leaves. It will change the way we interact with the world and how we understand it. 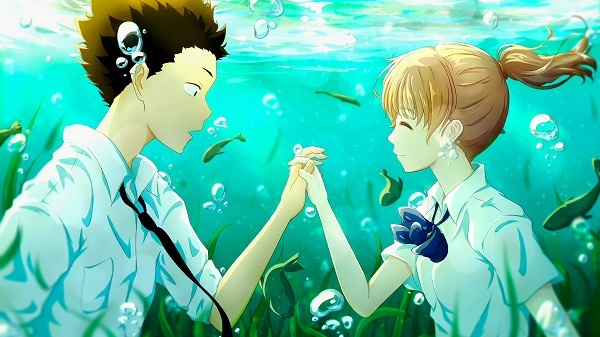 “A Silent Voice” voice follows a young man who once bullied a deaf girl when he was in middle school because he thought people found it funny and it made him popular, only for him to discover people hated him for it, and realize that the very person he bullied was doing her best to protect him for this unpleasant reality. There is only a brief amount of time where we witness the school bullying before jumping forward to where the boy is now a man, and the memories of his cruelness have stuck with him. He decides to seek out the girl and try to be her friend, in hopes of amending his past mistakes. When he walks through the halls of school everyone has an X on their face, symbolizing how disconnected he truly is with the world that surrounds him. At first, we think “A Silent Voice” is going to be about redemption from a man who was once a bully but is now a good guy. Life is not so simple though, and neither is this movie. The film also shows us the point of view of the deaf girl, who is secretly suicidal because she feels her problems have been a burden on her family for a long time (and sees no end in sight). Both have acquaintances they have known since middle school, and there are scenes where they talk quite frankly about how much different life could have been. Is the fall out between friends the result of just one boy? Was there a bigger problem of shifting the blame and not sharing concerns when there was a time those concerns could have been addressed? Can anyone truly move on from their past mistakes, or is the reality that they are capable of such terrible things in the first place just too much to bear? These are the theme of a movie that is bold enough to ask the questions, tough enough not to back down on the hard answers, and sensitive to know how to make them relatable. 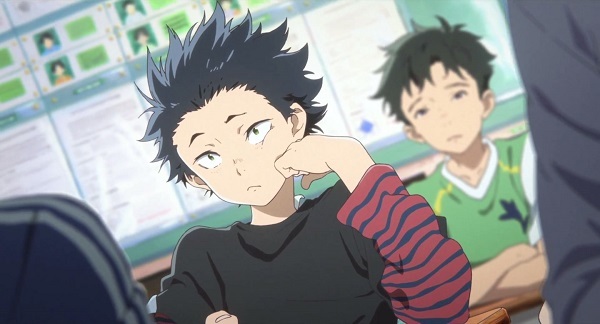 The most startling thing about “A Silent Voice” is that it gets that none of its characters are evil. It understands that good people do terrible things, and how the guilt of doing said things have a much wider effect on their lives than we realize sometimes. Sometimes, the best thing we can do is just apologize, which is something many of these people have difficulty doing. The sad thing about “A Silent Voice” is that it is by every definition one of the best films of the year. It uses editing, acting, music, and visuals to help us fully understand the people we are following. 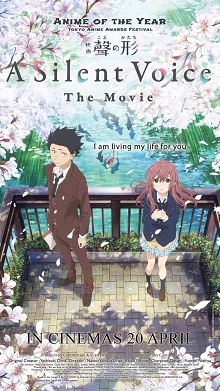 It is directed with confidence by Naoko Yamada, joins fellow director Makoto Shinkai in challenging the world with thoughtful, emotionally resonating movies that are geared for smart people, that just happen to be animated, and give audiences a fully mature experience without needing to result to the crass humor American studios think audiences need when watching an adult animated movie. What’s more, this is a movie that tackles some subject most live action directors would not dream of tackling, and does so in a way that leaves a mark on your heart. It’s just a shame that it is animated because, like the title suggests, it will blow through theaters like a whisper and many will never know it was there. We should reflect on this sad truth, but few probably will with “Thor: Ragnarok” playing next door. Parents, there are multiple scenes of bullying and at least one major story twist involving attempted suicide. Not a movie that kids should watch a alone, but one that would be good to watch together. Recommended for ages 8 and up.